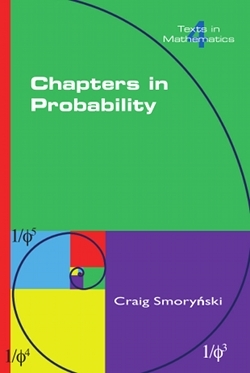 This book introduces elementary probability through its history, eschewing the usual drill in favour of a discussion of the problems that shaped the field's development. Numerous excerpts from the literature, both from the pioneers in the field and its commentators, some given new English translations, pepper the exposition. First, for the reader without a background in the Calculus, it offers a brief intuitive explanation of some of the concepts behind the notation occasionally used in the text, and, for those with a stronger background, it gives more detailed presentations of some of the more technical results discussed in the text. Special features include two appendices on the graphing calculator and on mathematical topics. The former begins with a short course on the use of the calculator to raise the reader up from the beginner to a more advanced level, and then finishes with some simulations of probabilistic experiments on the the calculator. The mathematical appendix likewise serves a dual purpose. The book should be accessible to anyone taking or about to take a course in the Calculus, and certainly is accessible to anyone who has already had such a course. It should be of special interest to teachers, statisticians, or anyone who uses probability or is interested in the history of mathematics or science in general.